The closure of the Holden plant in Australia last year is a blow for not only the workers but also fans of the bonkers muscle cars that, via Holden Special Vehicles, emerged from it. In recent weeks, the last of the UK’s allocation of the Vauxhall VXR8 GTS-R saloon and VXR8 Maloo pick-up have been sold. So where now is a lover of HSV’s brand of back-to-basics, rear-drive brawn to get their kicks? 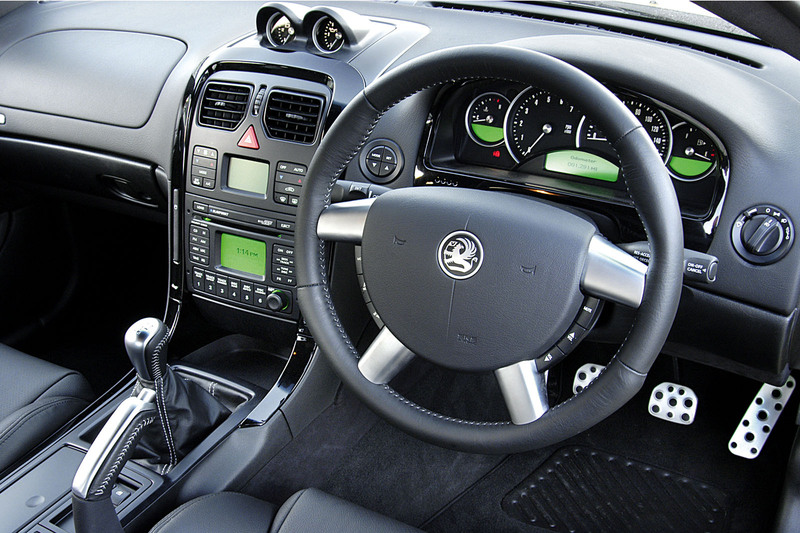 A spankers 2009-reg VXR8 will set you back around £33,000 but you don’t have to spend that. For just £6500, you could be in its forebear, a 2005-reg Monaro 5.7i V8 coupé (also called the CV8). Admittedly, it has done almost 145k miles but it has full service history and, at least in photos, looks tidy. Its simple, all-alloy, small-block Chevrolet engine (codenamed LS1) should still be producing close to 328bhp and a still more impressive 343lb ft. You want more? Consider the rarer and more powerful VXR version with 376bhp and 376lb ft. Assuming you can keep the back wheels under control, it does 0-62mph in 5.4sec compared with the CV8’s 6.0sec. Both models were launched in 2004. With their six-speed manual transmissions, simple suspension and, apart from traction control, absence of driver aids, they were an antidote to more sophisticated fare such as the Mercedes CLK 55 AMG and BMW M5. Fourteen years on, this simplicity is serving them well as used motors, although sourcing body panels and major bits is becoming harder. Fortunately, Monkfish Performance and other specialists such as LSX V8 (it breaks Monaros for spares too) should be able to supply that elusive component. In 2005, a facelifted version of the Monaro arrived with air scoops in the bonnet, a more aggressive nose and twin tailpipes. 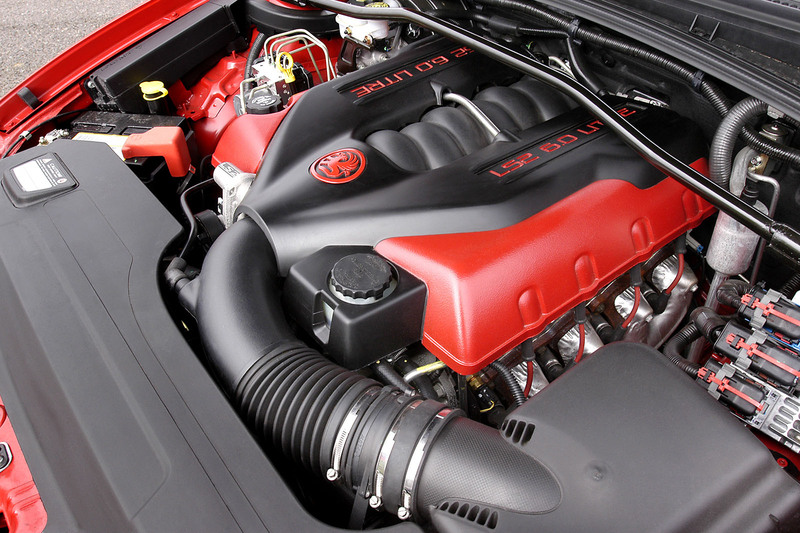 The CV8’s power rose to 344bhp and the VXR dumped the 5.7 in favour of a 6.0 V8 (codenamed LS2). It was related to the LS1 but produced 397bhp and 390lb ft and the 0-62mph sprint fell to 5.1sec. 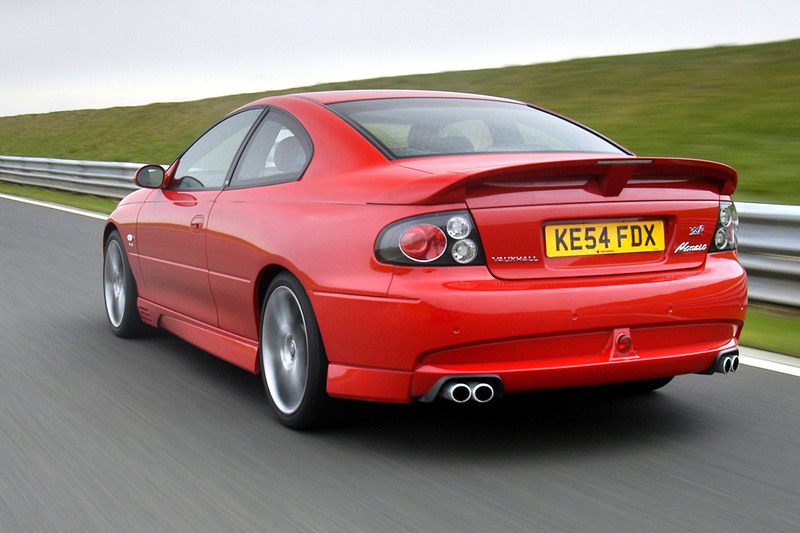 The following year, 2006, was the Monaro’s last, and to mark the occasion, a supercharger was added to the 6.0 VXR to create the limited-edition VXR500. It packed 479bhp and 500lb ft. 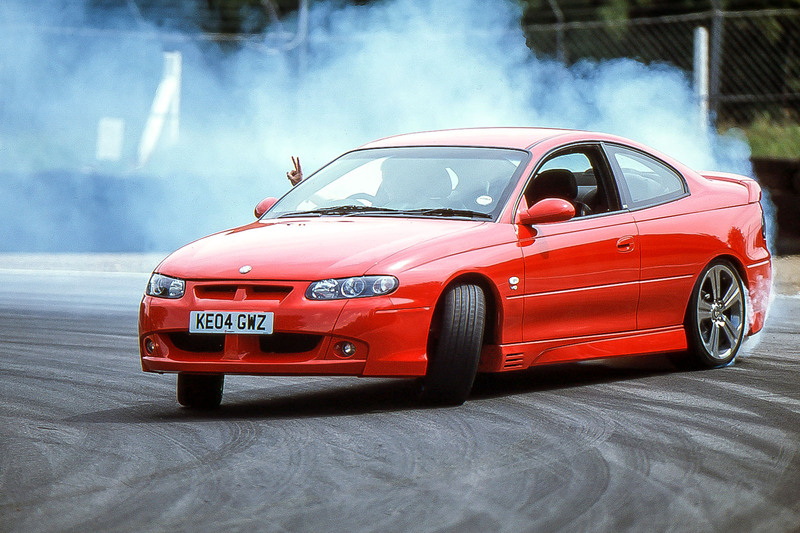 It might have been theMonaro’s final year but sluggish sales meant that some cars weren’t registered until 2007. Today, many Monaros have been through the hands of enthusiasts keen to sharpen their car’s responses. So long as the work has been expertly done, you should have no worries. Things to be more concerned about are transmission noise and rust: rusty suspension, rusty pipes, rusty chassis legs and rusty panels. Inevitably, with only around 550 Monaros remaining and very few for sale at any one time, prices are being eased up by cries of ‘rare classic!’. Be careful, since prices for the later VXR8 6.0 saloon of 2007 start at £15,000, about what you’ll pay for a nice Monaro. On the other hand, the Monaro is the prettier car. An expert’s view - MARC WALE, FOUNDER, MW PERFORMANCE: “We’re an independent Vauxhall VXR centre, so we see Monaros in all conditions. Rarity, ageless looks and that charismatic V8 are whatthe model has going for it. The all- aluminium pushrod engine is durable, reliable and easy to maintain. Bad points are the clunky transmission, increasing scarcity of new parts and the rising price of used bits. ENGINE - Generally trouble-free. Throttle bodies on some 6.0-litre cars are known to fail. The radiator is prone to leaking on the driver’s side. Fuel pipes rust badly. Service intervals are 10,000 miles. TRANSMISSION - Check for noises, oil leaks and sticky operation. Spigot bearings at the rear of the crank can fail (listen for whirring), damaging the gearbox’s front bearing. The gearbox’s main output shaft seal canleak. Failure of the clutch slave cylinder requires gearbox removal to replace. Centre propshaft rubber can fail. The diff pinion seal leaks if the oil breather pipe is kinked. STEERING, BRAKES AND SUSPENSION - The power steering pump is prone to failure on high-mileage cars and its pipes corrode badly. The steering fluid cooler is easily damaged by road debris. The steering rack can leak fluid. Poorly protected rear brake pipes rust badly. The front dampers are prone to rapid wear. Alignment issues are common so check the tyre wear. CHASSIS AND BODY - Front chassis legs, rear suspension and the leading underside edge of the bonnet rust but floorpans and sills are generally okay. The car’s long overhangs are prone to grounding. Poor body repairs are common and some panels are impossible to source. INTERIOR - Check the carpets are dry (door seals can fail) and ensure the seats don’t slide during braking and acceleration. Bought the Monaro of your dreams? Right, get your wallet out again. Here’s what you need to do to it: undersealing (around £700), LS7 clutch upgrade (£1000), lowering springs (£500 fitted), quick rack (£450 fitted), Ripshifter to overcome that sluggish change (£285 fitted), Polybushes to sharpen the suspension (£150 fitted). £6500-£9995 - From early high-mileage (circa 150k) 5.7i CV8s with service history, to tidy, facelifted 06-reg cars with 60k miles for £9995. £10,000 - £13,995 - Low-mileage 2006-reg facelifted 5.7i CV8s. Also, a 2005-reg 6.0i VXR with 55k miles for £12,950. £14,000-£19,995 - Best 6.0i VXRs with full history, many with gearbox and suspension mods. £20,000+ - Supercharged VXR500, if you can find one. VAUXHALL MONARO 6.0i VXR, 2005/55, 55K MILES, £12,950 - This car has a full service history and recent work includes new drop links, water pump and fuel cable, and refurbished alloy wheels. It also has a variety of intelligent mods and the seller admits he’s open to offers. You would have to love them if you have to fork out this amount of cash just to keep it a runner, I think what was listed above was good sound advice, but, it would make my jaw drop at all the potential problems you could be buying, and as mentioned it’s a bit of a brute if your heavy with the right boot, so, it’s a no from me, I’ll buy something from Europe which isn’t so hard on the Wallet and parts are plentiful. You really need to drive one, Peter, and the bills are considerably less than a similar Audi or BMW. I've got a VXR500 with a sports exhaust; nailing it through a tunnel is the perfect antidote to a bad day! I’ve had an M3 (E46,considered the sweet spot model) and I’ve driven a Huracán and a McLaren and a Porsche GT3 too, all were easy to drive and not a handful to drive like the article alluded to, I like the look of the Monaco and the VXR, it’s just the thought of an unexpected big bill that bothered me, rust seems to be a big issue, but I guess if you want the thrills expect some big bills! !